How effective are blocking orders against torrent sites? The High Court of England and Wales has produced another blocking order for UK Internet service providers (ISPs) against three torrent sites. The action was brought by the British Recorded Music Industry (BPI) against the main UK ISPs in order to obtain a blocking order against three torrent indexing sites, namely KAT, H33T, and Fenopy. The case is actually quite straightforward, as it follows similar decisions taken already by the English courts in obtaining blocking orders against Newzbin and The Pirate Bay. The ruling briefly discusses that the orders are deemed proportional given the seriousness of the offence, and declares that the court has jurisdiction over the case. 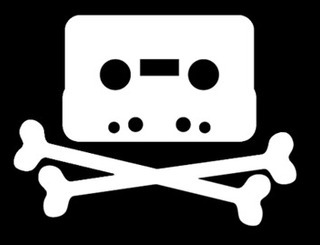 Unlike the decision against The Pirate Bay, in this instance Arnold J goes into the substantive issue of whether there is copyright infringement taking place. One of the interesting parts of this ruling, and which I suspect will make it very citeable in the future, is that it clearly distinguishes the copyright liability of the users, and that of the operators of the tracker sites. “As to ease of circumvention, this is a factor in the proportionality of the order both as between the Claimants and the Defendants and as between the Claimants and the operators and users of the Websites. I would make three points in this respect. The first is that I remain of the view that a blocking order may be justified even if it only prevents access by a minority of users […]. The second is that efficacy depends on the precise form of the order. The orders I granted in Dramatico v Sky are likely to have been less easy to circumvent than the original order made in 20C Fox v BT (No 2) […]. The same is true of the orders agreed in the present cases. These are some remarkable claims! Firstly, the judge is not concerned with the efficacy of blocking, and he admits that he would still warrant the orders even if affected a few users. Secondly, he claims that the type of order is important, and that the ones he issued against The Pirate Bay are more efficient than those against Newzbin. But the real jewel is the third claim, which states unequivocally that blocking orders do work really well, and that the result is a clear reduction in traffic against the sites. I had to look for the source of such astounding information, but I was not able to obtain any reliable resources, and I suspect that it is a figure given by the BPI, which may have been pulled out of the nether regions of their institutional anatomy. On the contrary, I found a report from Torrent Freak claiming the opposite, but this claim should be taken with a pinch of salt. The problem with these statistics is precisely that it is extremely difficult to obtain data about a block because those intent on circumventing the order will not be easy to track. For example, if people in Italy are using a proxy or a VPN to bypass the blocking, it is obvious that they will not show up in normal metrics as accessing the site from Italy at all. Similarly, the claim that one can gather any meaningful data from Alexa rankings is highly suspect. Alexa works by measuring the behaviour of users who have installed a toolbar in their browser. This gives a snapshot of a very narrow demographic, that of Alexa toolbar users. Needless to say, people who are more likely to share files online are less likely to have any sort of toolbar installed on their browsers, particularly one that tracks online behaviour. Similarly, there are studies that prove that Alexa’s rankings tend to be wrong for both small and big websites, as they tend to produce some serious mismatches with reality. However, we can expect more of the same in the near future. While the entertainment industry keeps intent in playing a game of whack-a-mole, the sharing of content continues unabated. The reality is that the technical elites that are the main audience of tracker sites will not be deterred by these orders. Furthermore, once those files are in a computer, they can be shared by USB keys, portable hard drives, and a myriad of other methods. All you need is one copy in the wild. How many times must we call for smarter enforcement? It is 2013 for crying out loud, your enforcement techniques are a decade too late!